Dior a very famous brand, and they have a good name. Their makeup is from very good quality. 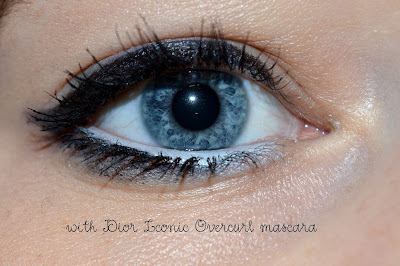 I was very surprised when I saw that Dior made a Christmas edition set from their Diorshow Iconic Overcurl mascara. As you can see in this set is a Diorshow Iconic Overcurl mascara and a mini eyeshadow palette. The brush from this mascara is curved a little. 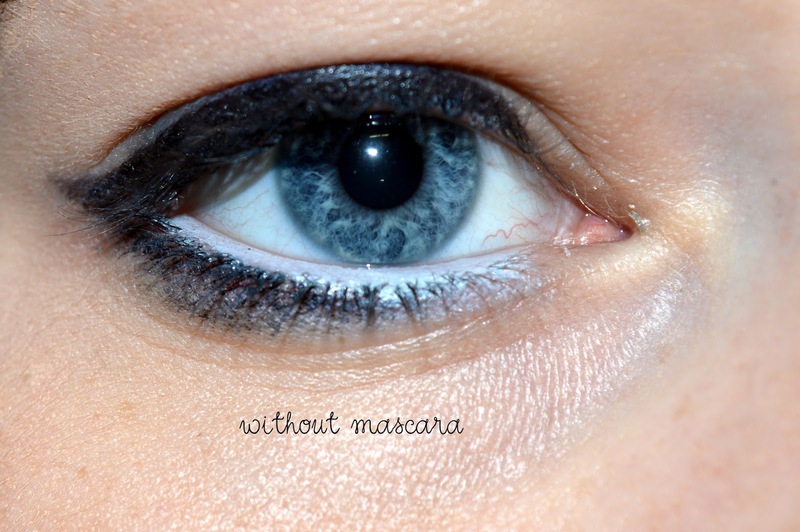 As the name says allready, this mascara is going to make your lashes curl very nicely. As you can see on the picture above, the mascara curls my lashes but it doesn't separate my lashes. I don't know if I like this mascara, I like the fact that my lashes are curled, but the stick together and that is not what I want from a mascara. This mascara set is for sale at Ici Paris Xl for only € 33,00. This set is only available for a limited time only, so hury! What do you think about this mini-eyeshadow palette? Will you be buying this set? 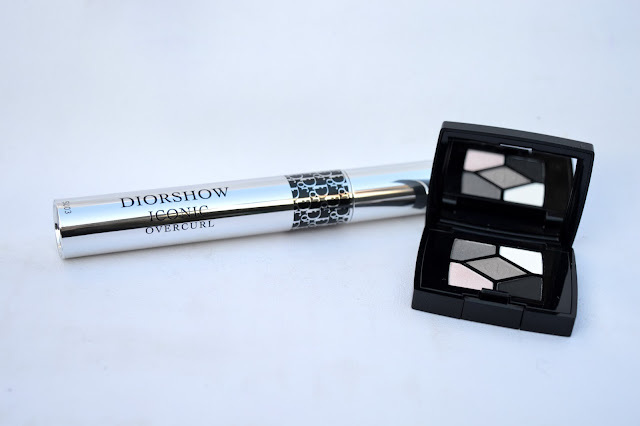 Ik had hetzelfde gevoel helaas destijds al bij de oude Dior show. Jammer dat ze het probleem met de samenklevende wimpers nog niet verholpen hebben. Zelf heb ik eigenlijk niks van Dior! Altijd fijn, zo'n setjes! Heb deze mascara zelf nog nooit gebruikt, jammer dat het niets voor jou was. Ik vind het wel een mooi effect precies, jammer dat het niet is wat jij ervan verwachtte.